I’ve had a lot of questions and comments about whether the Tecsun PL-880 is supplied with a power supply/battery charger. I purchased my PL-880 from from Anon-Co on eBay and they sent a charger along with the radio. The charger was not in the actual PL-880 (OEM) box, but wrapped up inside Anon’s FedEx shipping package. I found it instantly. I mention this because I’m not sure if other vendors are supplying a charger as well–perhaps other PL-880 owners can comment? The charger has two ports where the supplied USB cable can be plugged in–both 5 VDC, but one rated at 1000mA and the other at 2400 mA. Either would work to power the PL-880 as it only requires 300 mA. For charging, I would use the 2400 mA port–though the 1000 mA port may work as well. You certainly can’t hurt the radio by using the higher mA port as the radio will only use the amount of amperage it requires. I will also note that while I prefer portables having the more standard AA cells, the supplied PL-880 rechargeable battery (see below) has superb capacity. With all of the listening time I’ve been logging, I still haven’t needed to recharge it yet. I suspect its capacity is superior to that of most AA rechargeables. 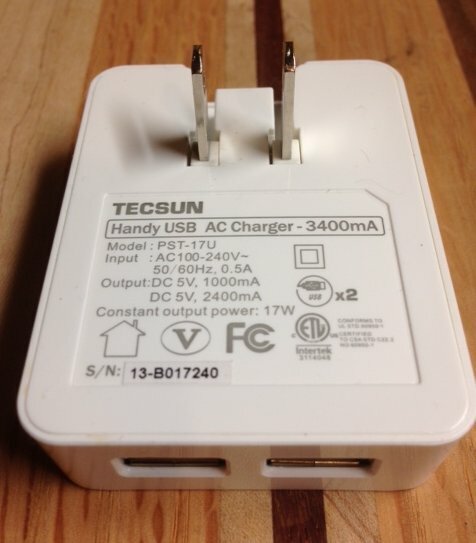 This entry was posted in New Products, News, Radios, Retailers and tagged PL-880, Tecsun, Tecsun PL-880, Tecsun PL-880 Availability, Tecsun Pl-880 Battery, Tecsun PL-880 Charger, Tecsun PL-880 eBay on December 4, 2013 by Thomas. Hey Abel it is made in china not in japan! I think Tecsun should do more with the USB port instead of just charging. Give the user a chance to use the receiver as a dedicated software defined radio that you cause with any RTL-SDR software. Also the USB port can be used for database collection such as what memories are in the radio, and also what frequencies you collected that can be imported onto a spreadsheet program of the memories and ATS presets. Also the USB port could be used as a way to add digital output audio to listen to the radio with DSP audio filtering software. Why can Tecsun think of doing this? To my experience, it’s just an ordinary radio. so can any 18650 3.7v rechargeable battery be used in this radio, such as this? 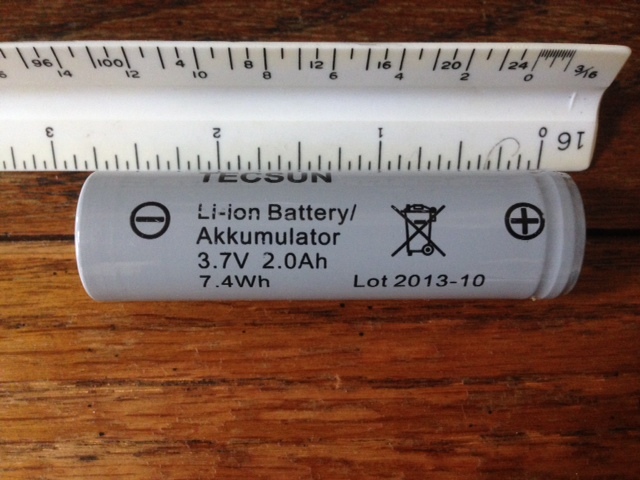 In the photo, this battery appears to be a flat top version with tabs welded to the +/- terminals. I’m not sure how those would work in the PL880 or if the tabs would get in the way of being able to securely latch the battery compartment cover. I have a Tenergy flat top 18650 which I have tried in my PL880. It would not work as it appears that the little nub sticking out of the positive end of the radio’s battery compartment could not reach far enough to make contact with the battery’s positive terminal. I do have several Panasonic 3400 mah 18650B protected cells of the button type variety which, as you may know, are among the longest of this type, and they do just fit. If you prefer to order Panasonics, I would recommend getting the button top version. does it matter what mah i get or will any capacity mah work? The green Panasonics appear to be the same as mine, and mine work just fine in the radio. I don’t think it matters if you get protected or unprotected batteries for this radio, as I believe the radio’s charging circuit monitors the charge state of the battery and shuts off charging when it’s full. I’m not sure about over discharging as I have never let the battery run completely down. The Tecsun battery that came with my PL-880 is unprotected and works just fine. 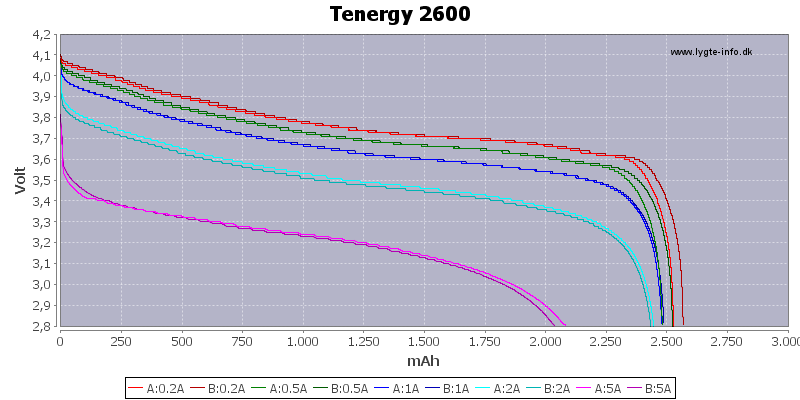 The mah is just a measure of capacity – higher mah will give you longer runtimes, though some brands of batteries do not live up to their stated mah capacity. Those Panasonic 18650B’s seem to have a good reputation from what I’ve seen, and seem to be a good choice. I’m satisfied with mine. I am going to purchase this radio, and will probably use the Panasonic 18650B 3400 mah Protected button top batteries from my LED flashlight as backups. These batteries are a bit longer (about 5mm longer, I believe) than unprotected flat top batteries. It appears to me that the Tecsun battery is unprotected, and a flat top type. Can anyone tell me if the Panasonic battery I plan to use will properly fit into the radio’s battery compartment. Also, I noticed that the output voltage on the charger included by Anon-Co is 5v. 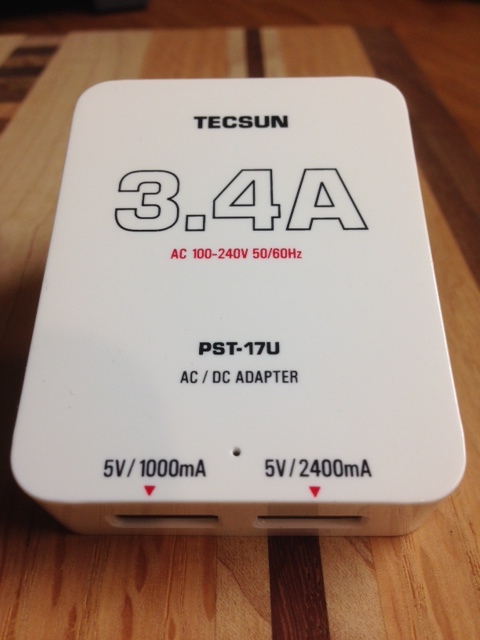 Since it is my understanding that Li-ion batteries must not be charged at higher than 4.2v to avoid damage, does the radio’s charging system have built in protection to avoid overcharging the Tecsun battery, which I am assuming is unprotected? Thanks for any answers, and for any corrections if I am mistaken. I was going to purchase an inexpensive lion charger for the 18650 battery type and then keep a supply of spares for my PL880. After a few days with this radio I’m going to pass on this purchase. I just don’t think I’ll really need it. The run time from one battery is sufficiently long enough that for me that one spare battery will be enough. I’ll just use the radio’s built-in charger using the Anon supplied USB charger dongle. Like others, I had reservations about this relatively obscure battery form factor in the PL880. In retrospect, I think it is a superior solution over the more common AA batteries. This battery takes a long time to deplete, it weighs less than 4 AA batteries, it’s cheaper than 4 AA NiCd or NiMh batteries, they take up less space and availability is not a problem (readily available online and certain retailers) . What’s not to like about the 18650? Tecsun pushed the envelope on this and in my opinion it’s a home run. I purchased a spare Tenergy 18650 battery from Fry’s Electronics for for $7.99. It is rated as 2600ma with a minimum of 2400ma and 2500ma nominal. Seems like a good long time for road trips. Meant to also mention the battery packaging states: “Li-ion Rechargable battery with PCB.” I went to their website to find out what PCB stood for and it really is printed circuit board – not the toxic chemical in transformers. This circuit prevents overcharging and discharging. Your battery has exellent 2500mAh real capacity used with the PL-880. I’m just now going through all of Thomas’ reviews. I didn’t receive a charger with my purchase from Anon so I had no clue they were being shipped with a charger. Fortunately trash pickup is not until Monday so I thought how is this possible, we both bought these things around the same day. So I scoured the recycle trash can and sure enough I had thrown out my free cool little USB charger – it was wedged inside of the box and I didn’t see it. Doubtful that the battery was only half loaded with an operating time of almost 24 hours. In any case, it took four hours and forty minutes to upload it. The actual charging was turned off automatically. Have noticed that a timer in the display started as soon as I connected the battery charger to the PL-880, it will be interesting to see how long the charge takes. I load in the USB port 5v 1000mA. so it’ll well take a while. The battery normally comes half charged. This is to protect the battery from getting to discharged during storage. Li-Ion cells will be unable to recover once they are completely discharged. This is well known by the engineers at Tecsun, so the radio will switch off and show empty battery while the capacity in reality is 10-15% left. Might be worth mentioning that the original 18650 battery from Tecsun has no built-in overcharging protection, there is no information on the battery for this? compared my old protected ULTRA FIRE 18650 and they are a little longer in height because they have a built-in overcharging protection. I have discarded the original battery from Tecsun. *Any* form of rechargeable Li-Ion battery must not be charged without proper overcharge protection. If you combine several cells you must supervise every single cell separately. Do you remember those exploding notebook batteries from a few years back? This radio must have a proper protection system specific to the supplied cell. I would be very reluctant to replace it by anything not specified in the manual. The most critical value is the maximum cell voltage. This must be correct by less than 100 mV. Either you cannot use the full capacity or you risk metallic lithium burning. Don’t try to extinguish such a fire with water: The Lithium will split the water into hydrogen and oxygen, consuming the oxygen by itself – setting free the hydrogen! if this is indeed an 18650 battery, it is the smallest capacity I can remember ever seeing. I would have expected a minimum of 2300mah. Here is a test of various battery brands. I presume true 3400mAh is twice the performance of the battery supplied from Tecsun (“2000mAh”). The best cells seem to be made by Panasonic in Japan. These are the NCR18650A or B also used by some other brands. That the PL-880 runs for 24 h with one battery load is very good news. But it means that the 300 mA supply current mentioned above includes at least 200 mA of charging current for the battery, leaving less than 100 mA for the radio itself. About the power supply: That seems to be a standard USB power supply. The 2.4 A output is primarily for smartphones with large batteries. By default an USB 2.0 port must be able to supply 500 mA. I do not own a PL-880 yet. But every radio I had did run off its power supply without a battery present. The inverter noise is a different question. All those power supplies first rectify the mains voltage and then cut the DC into pieces at a rate in the 20 kHz to low MHz range so it can be transformed using a small-core transformer. The AC voltage from the secondary winding is rectified again and provides the 5 V. This means that a high-amplitude, high-frequency square-wave signal is present in the power supply. These days many of these power supplies filter their internal signals well enough to supply even an amateur radio transceiver like my Yaesu FT-817. On the other side an amateur radio transceiver needs a much better antenna than the typical telescopic antenna of most radios. So it is quite possible that the noise finds its way into the radio through the antenna and not through the power cable. Simply try it. Or use any other USB power supply. At 300 mA every such power supply should do. BTW: It is quite typical that the power supply is provided separately. This solves several problems for the manufacturer: He needs not worry about high-voltage hazards and he can sell the same product to many different markets – provided he includes a multi-language manual. Will the radio run just off the charger, with or without batteries, and if so, I wonder how noisy that would make it? Yes it runs off of external power. The noise varies from power supply to power supply I suggest using a high quality AC/DC USB adapter or use a USB battery bank. * Therefore the energy stored in the lithium cell supplied with the PL-880 is a bit less as the energy stored in three NiMH AA cells. * Considering a supply current of 300 mA the radio should run for 6-7 h with one charge. Using the hidden feature to show radio run time since last reset or last battery charge/change (radio OFF, hold down VF/VM button) mine now has over 50 hours on a replacement 3000mAh (claimed) battery, and I still have one bar left. I do not know exactly how long I got on the 2000mAh Tecsun battery it came with, but it was comparable. Do you know how long the batteries will drain ?